Chloride ions are one of the major inorganic anions in water and wastewater. Although high concentrations of chloride in water are not known to be toxic to humans, its regulation is mainly due to adverse effects on taste. It is essential to monitor chloride concentrations in boiler systems to prevent metal parts from being damaged. In high levels, chloride can corrode stainless steel. The level of chloride concentrations in boiler and cooling towers varies from small quantities to very high levels. Furthermore high levels of chloride can be toxic to plant life. Chlorides are the salts of hydrochloric acid with a metal. Some common examples are sodium chloride (NaCl), ammonium chloride (NH4Cl), calcium chloride (CaCl2), and magnesium chloride (MgCl2). When dissolved in water, these salts produce chloride ions, Cl-. 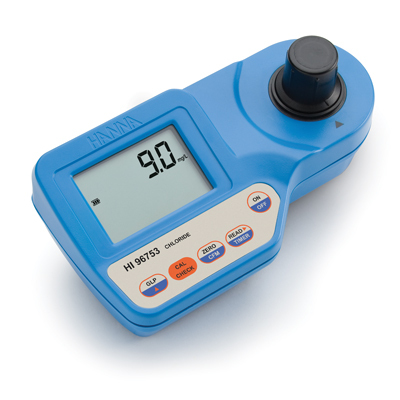 The HI 96753 meter measures the chloride content in water and wastewater samples. 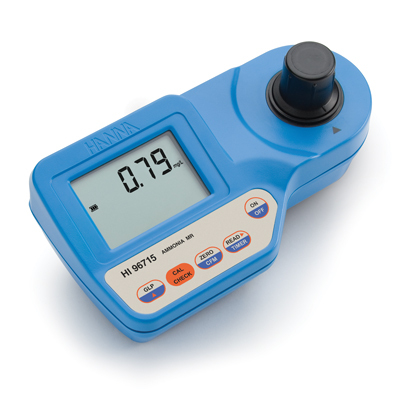 This meter uses an exclusive positive-locking system to ensure that the cuvette is in the same place every time it is placed into the measurement cell. HI 96753 is supplied with sample cuvettes with caps (2), 9V battery and instruction manual. HI 96753C includes HI 96753 photometer, sample cuvettes and caps (2 ea. ), instrument quality certificate, instruction manual and rigid carrying case.